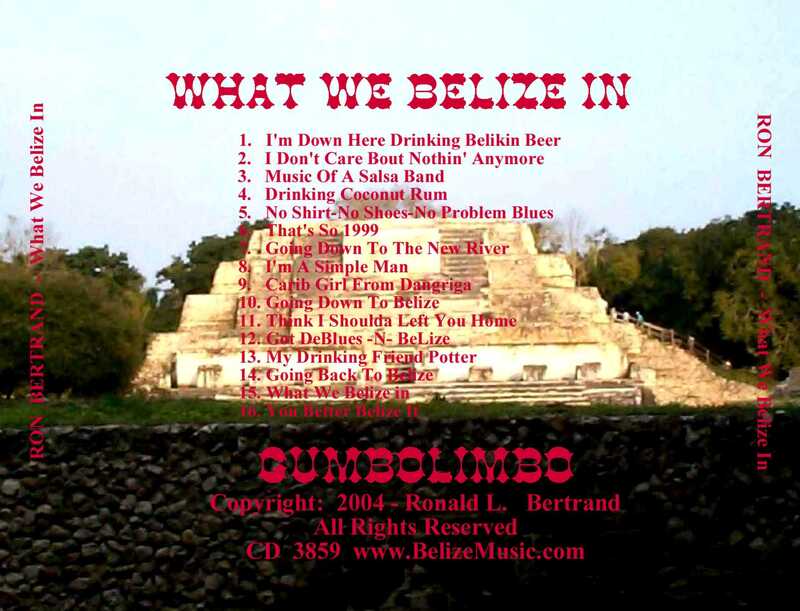 If You, Or Someone You Know, Has Been To Belize Then Be Sure To Get The: "What We Belize In" CD And T-Shirt. Order your CD and/or T-Shirt today. Your order will be processed quickly and securely by PayPal. GUMBOLIMBO PRODUCTIONS IS A PAYPAL VERIFIED MERCHANT. SHOW EM WHAT YOU BELIZE IN. 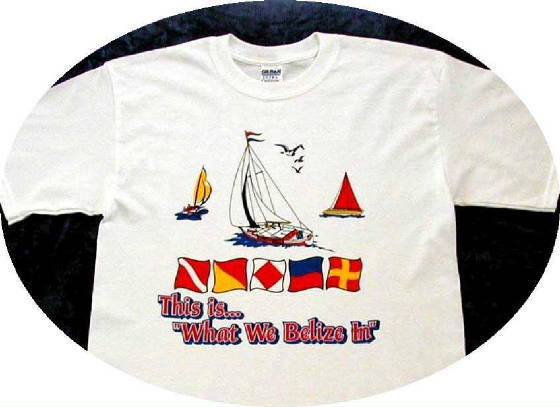 This colorful tee features sailboats and nautical flags. It's available in size: medium, large, and extra-large. Don't forget to get one for the one who brung you! 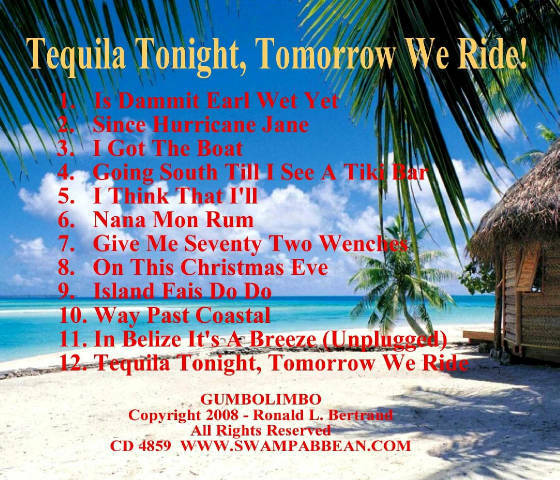 "Tequila Tonight, Tomorrow We Ride! Great Trop-Rock! A Trop-Rock CD For The Parrotheads. The $2.95 S&H is only charged per order, not per item. Your order will be processed quickly and securely by PayPal in which you do not have to be a member to use this service. 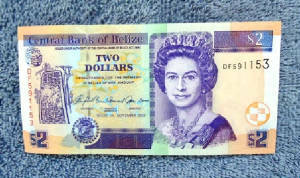 If you have not yet gone to Belize then be sure to plan your trip there in the near future. Take time to enjoy both the Belizean Caribbean Cayes as well as the many sites within their Interior. From Ambergria Caye to the Xunantunich Mayan ruins, you're gonna love Belize. And the Belikin Beer! You can also order via regular mail. Just click the Link below for our Mail Order Webpage... Print it and mail it.